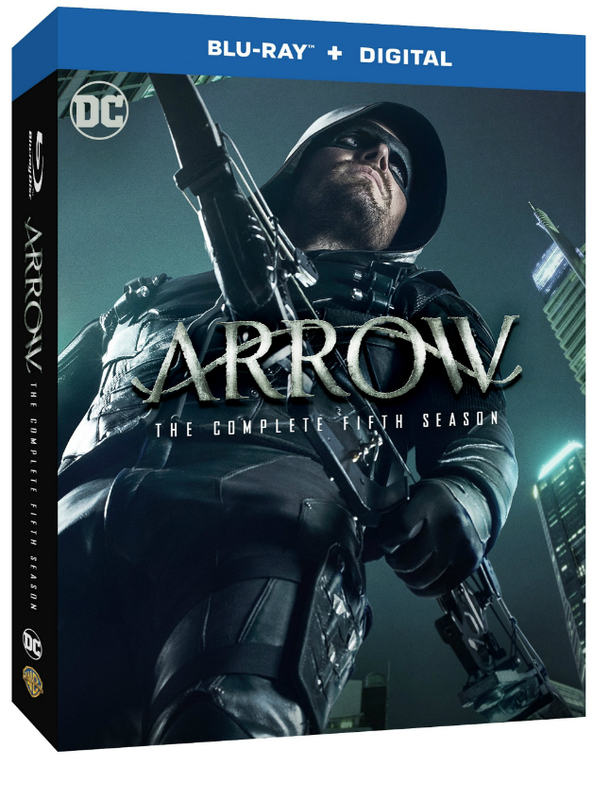 After what was a great bounce back season for the series, the complete fifth season of “Arrow” is coming home to Blu-ray on September 19th, 2017! BURBANK, CA (June 06, 2017) – Just in time for Arrow’s sixth season on The CW, viewers can catch up with the thrilling series as Warner Bros. Home Entertainment releases Arrow: The Complete Fifth Season on Blu-rayTM and DVD on September 19, 2017. Averaging 3 million viewers weekly for each original episode, Arrow is the #2 series on The CW season to-date amongst Adults 18-34, behind only The Flash. * The release contains all 23 exhilarating episodes from the fifth season, the show’s 2016 Comic-Con Panel, never-before-seen featurettes, and much more. Arrow: The Complete Fifth Season is priced to own at $49.99 SRP for the DVD and $54.97 SRP for the Blu-ray which includes a Digital Copy. Arrow: The Complete Fifth Season is also available to own on Digital HD via purchase from digital retailers. *Source: Nielsen National TV View Live + 7 Day Ratings, excluding repeats, specials.